Seek no further – from the moment you walk through the front door and take in the panoramic aqua blue waters, you will know that the search is over. 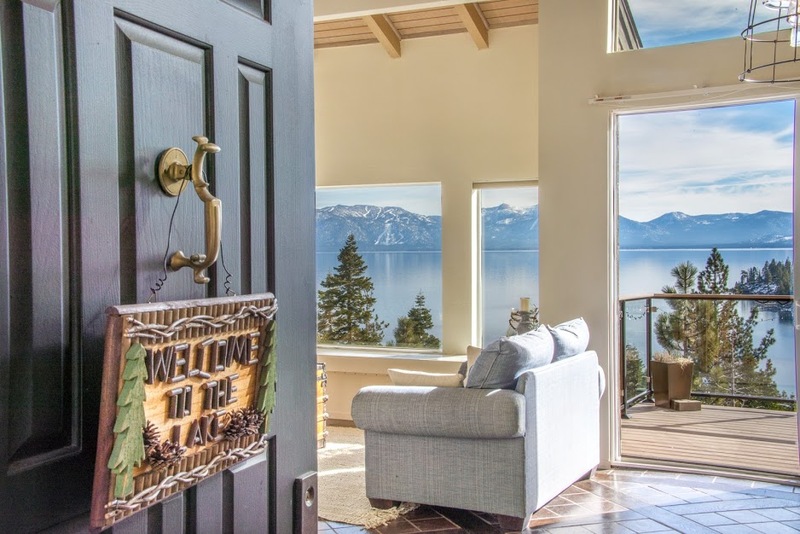 Perched just above the aqua blue waters of Meeks Bay, this remarkable home offers unobstructed 180 degree lake and mountain views from Cave Rock to Rubicon Peak, and is arguably one of the finest settings in Lake Tahoe. The “Sunnyview Lodge” has been recently updated, meticulously maintained, and is a stunning year-round destination. Every room in the house has uninterrupted 180 degree views of the lake and comfortably sleeps 14 people. Featuring 3 living spaces, 3 decks, and a 2-car garage; there is room for the whole family and toys at a great price! Only a minute’s drive from Tahoma and a short walk to Meeks Bay Beach in the summer! Your search ends at 393 Sunnyview Drive.